Isn’t this era is dedicated to the freelancers? Everyone is trying hard to build a business which can be run from home. But there are many freelancing mistakes which are repeated by many. In the last 5+ years, I have encountered with many ups and downs and it always turned out to be one of my mistakes. And I have been noticing that most of the freelancers are making such mistakes. How about making you learn about the things you should never do while getting a client or holding any project? With an urge to make money, most of the people forget about the integrity which is required to build a personal brand. You may be thinking as if something magical is going to get revealed. Well, there is nothing you haven’t come across. The only difference is that you may not have noticed how you could forge your career as a gold mine. I know that a few of you may believe that being smart can help you get more clients. It’s true but there is a difference between being smart and a hypocrite. There are many people who show something else and deliver not even close. What’s your goal? Are you going to get one client and just make the money or build a long-lasting relationship? Freelancing is all about proving yourself and connecting with as many people as you can. If you can do that then no one can stop you. What’s the best thing which matters in your career? It’s called that your first impression is the last impression. 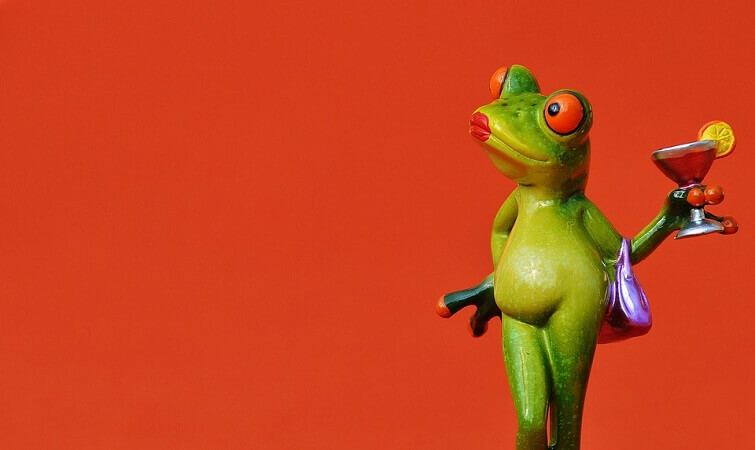 And you know that people have unlimited choices in this freelancing world. If you can’t impress anyone, someone else will. I have seen many people who just send a two-line email in response to any freelancer requirement project. Let’s say someone is seeking a web developer and you have to email that person. How would you craft your email? The biggest mistake people make when they add only one line “I am interested”. I mean seriously, are you auditioning here to be a groom? Give your best shot by mentioning the things you can do with that project. Mention about how can develop it in a way others can’t. This is one of the biggest freelancing mistakes. Let me ask you something. Do you like someone who keeps bragging about him and doesn’t talk about what he has done? This is a corporate world where people don’t have much time to read about your personal stories. But many freelancers add 5 to 10 lines about their experience and how they came to this level. And if you think practically, how does the client know that you’re telling the truth. To make it better, you should start with your one line introduction and then mention about the project. Mention the points which can be different. Let me show you what a website developer should do. Such type of points can be used instead of bragging about what you do. This is the biggest misconceptions people have. You have read it many times that many freelancers are offering to develop a website just in $200. And they get many clients but only once. How can you expect a website with the latest coding standard in just $200? If you calculate the number of hours you devote for a pages website, it would be more than 40 hours. And the least you can calculate is $20 per hour. It would be $800+ which is also not acceptable if the website design is complicated. You should know how much effort you have to put and what’s the right price to ask for. It’s always better to ask your clients about their budget before telling your charges. If you think you can work on that project, go for it otherwise, you can have a discussion with your client. NOTE: Don’t be so greedy. I mean it doesn’t make any sense if you ask $5000 just for a simple blog. Try to maintain your integrity with your client’s comfort zone. That’s what I would say one of the biggest freelancing mistakes people make. Most of the freelancers are using the websites like Upwork. I would say this can’t work if you don’t have enough working hours. For a newbie, it’s better to start building a personal brand on WordPress. Don’t forget LinkedIn which is one of the biggest professional networks right now and people are getting jobs every single day. Then why can’t you get your clients? I have 20,000+ LinkedIn followers right now and I can proudly say that I have achieved what I wanted. Being a LinkedIn influencer, I can say that if you’re good with interacting with your followers, you can get more clients from LinkedIn. I get messages every day and turning my followers into my clients is what I do. It’s because of my personal brand. The same goes with Twitter. I have 20,000+ Twitter followers and that’s my social proof. Most of the people don’t even think about the benefits of building a brand which can itself signify their work. Now the question arises as if what’re the mistakes you have been making so far? Are you the person who always brag about your accomplishments? What about not having an email marketing strategy? 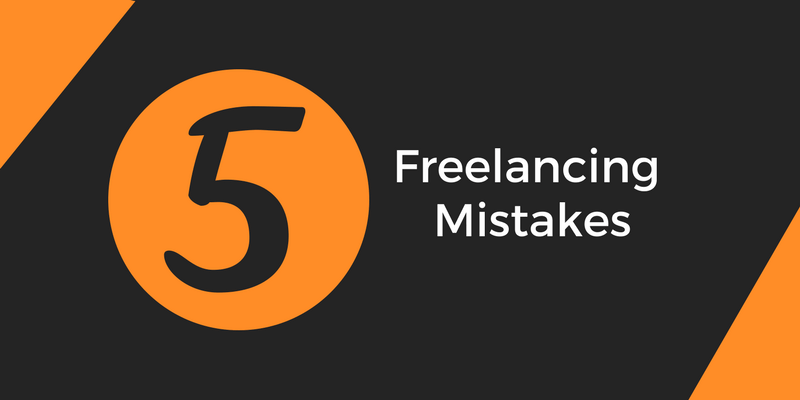 These freelancing mistakes can really ruin your career. I have had it enough and I am sure, no one of you would want to experience it ever in your life. It’s about having a wealthy life where you can be happy and in this world where competition is at its peak, you should keep these things in your mind. I hope you will have a successful career. Best of luck. I am a freelancer on Upwork in the field of SEO and Website development. Thanks for your suggestion. I will keep these point in my mind before that I have to ask about the budget of the client, Thanks again. I am glad I could help you in any way. This Article Reminds my most previous mistakes, Indeed I feel guilty, especially in the first season of my own business. I didn’t have any idea what to bill and was thankful for any work. Thus, now I understand say no to clients is truly so hard if we have been starting a business. Additionally, convince our clients to perceive us as real professionals. Later they have nt considered me for that project… At times I feel that i probably did mistake coz as a newbie it mght be an opportunity for me. It depends on person to person. There are many people who don’t set their charges, they just go with what they get. It’s hard to say what can work for you. I may set $100 for an article whereas someone else can do it $10. We just need to keep the pace of our own.